Polyester (100% PES) waterproof roll-up brush and make up holder. 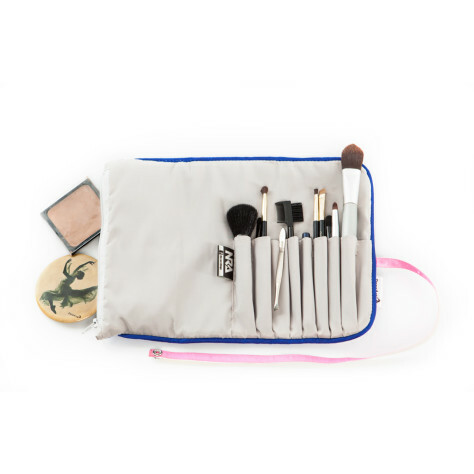 The Artful Traveler allows brush enthusiasts to organize, protect, and travel with their brush and make up collection. The convenient case carries and protects several brushes as well as additional small beauty necessities. 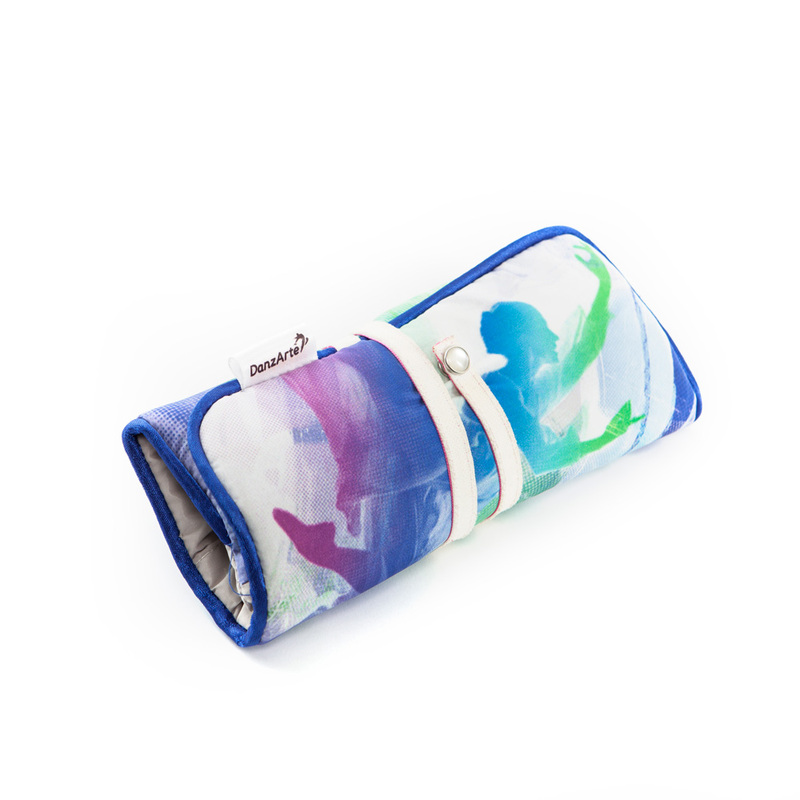 It is made of waterproof polyester with a faux leather tassel. The makeup bag is machine washable. Categories: Bags. 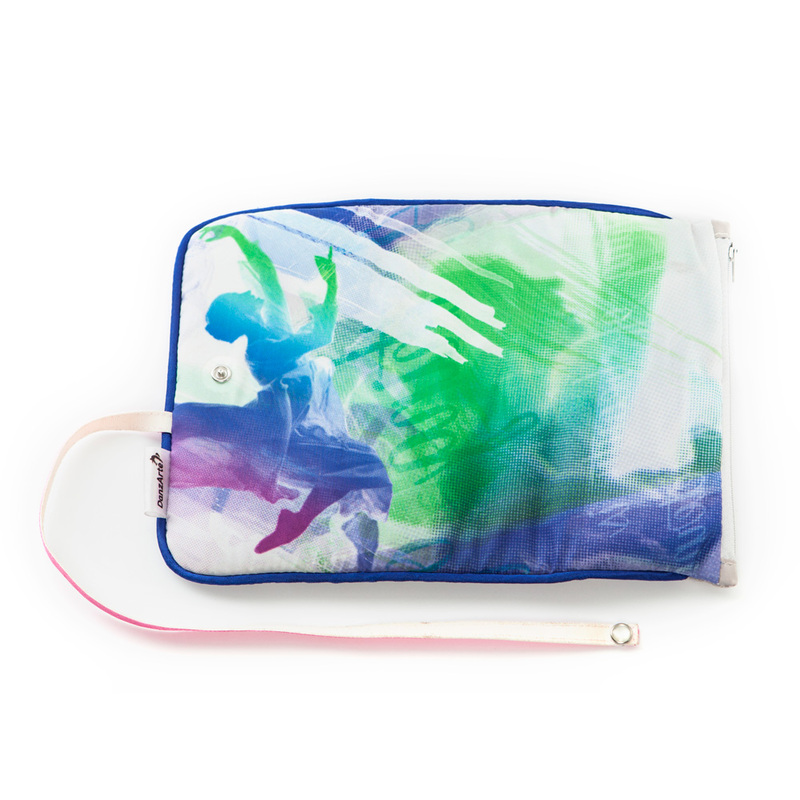 Categories: bags	ballet	dance	dancing	danzarte	draw	foldable	kosmetik	make-up.